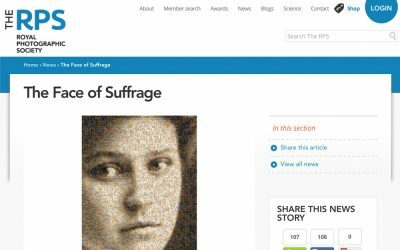 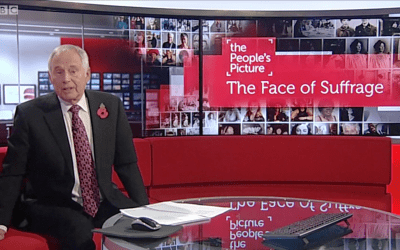 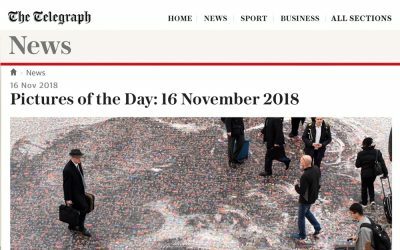 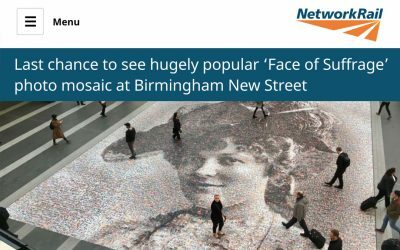 The Face of Suffrage celebrates the centenary of women over 30 gaining the right to vote in the UK and is composed of thousands of photographs tessellated to create a giant portrait of suffragist Hilda Burkitt (1876-1955). 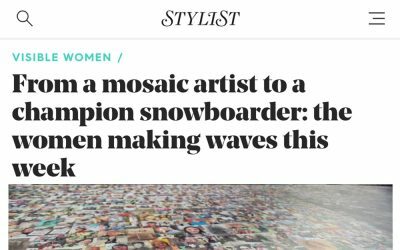 “Last year, I set up The People’s Picture, an art and design studio, where I work with a small, meticulous and caring team to tell people’s stories through photo mosaic installations. 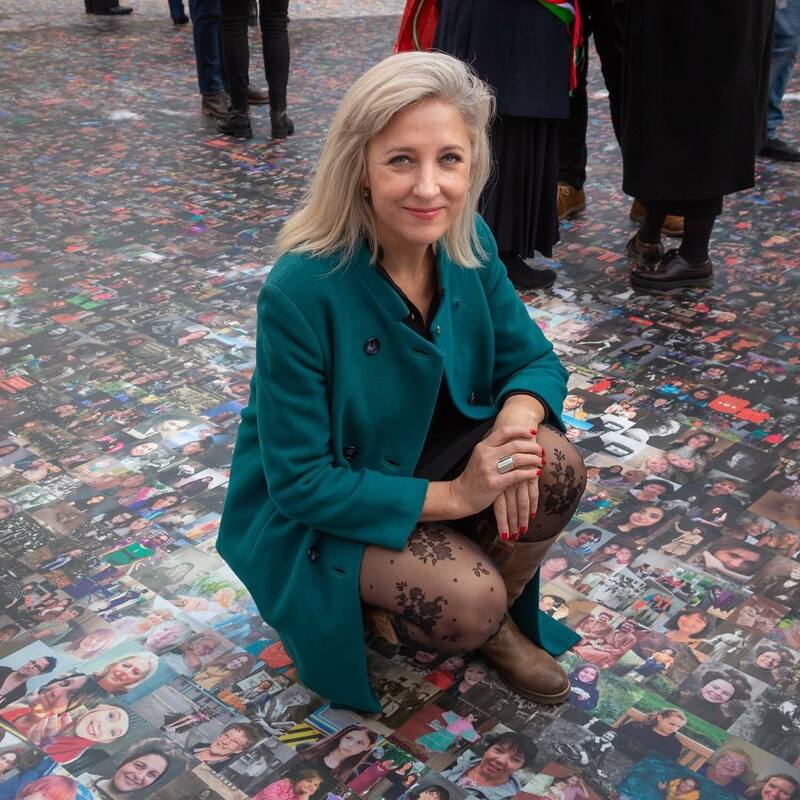 We partner with a myriad of people, organisations and public spaces often outside of the gallery, or institutional art space, to realise our projects. 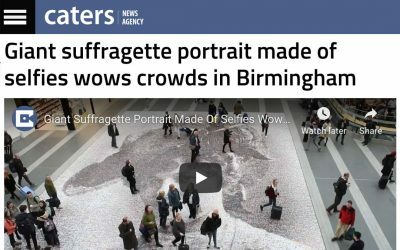 Popular, faces are featured as the emblems of our time following in the footsteps of historic mosaics that often included famous figures from history and mythology as well as lesser-known faces as my ethos is about inclusivity. 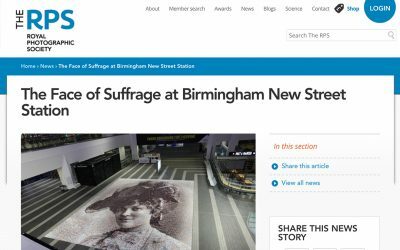 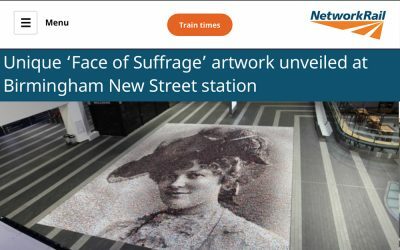 One of our latest projects is ‘The Face of Suffrage’ at Birmingham New Street. 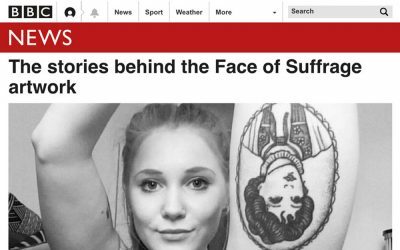 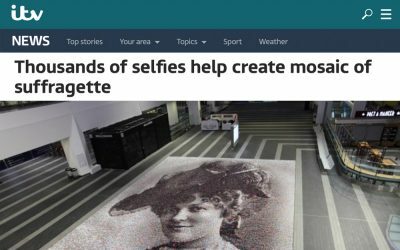 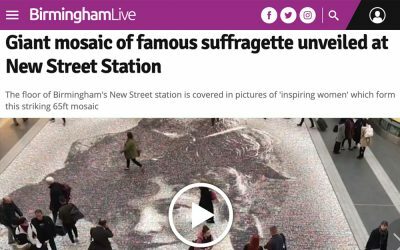 It is a floor-based, 200 metre-square photo mosaic revealing the face of a suffragette who has a ‘daring and brave’ story to tell. 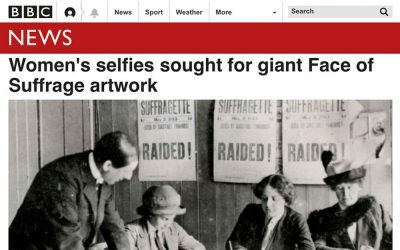 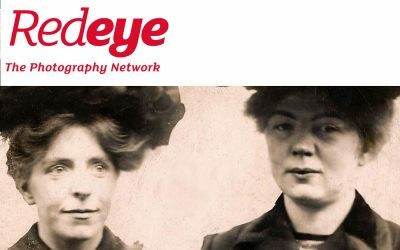 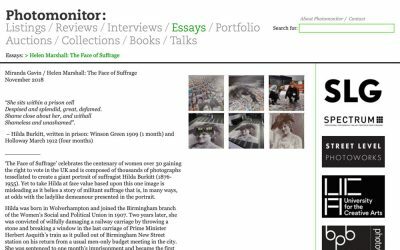 It is made up of more than 3,700 crowd-sourced photos and selfies of inspirational women and girls (who identify as female or non-binary), combined with hundreds of historical images drawn from archives and libraries and focused on women’s suffrage in the early 1900’s. 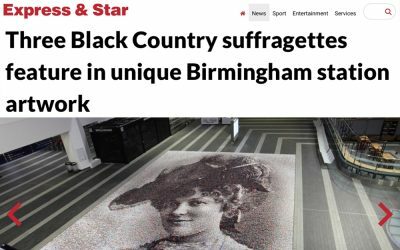 The artwork commemorates 100 years of women’s right to vote and has a local and national reach from the West Midlands and beyond. 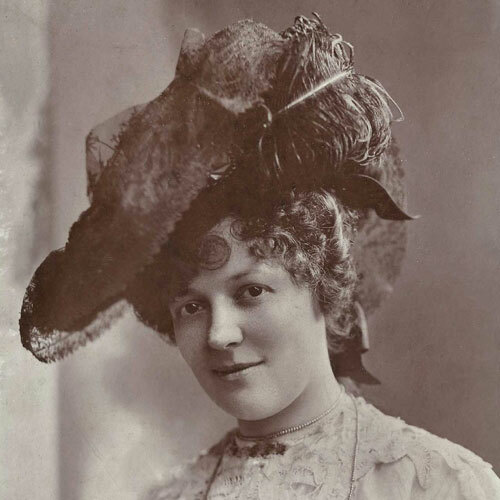 The final portrait is of Hilda Burkitt (1876-1955)”.